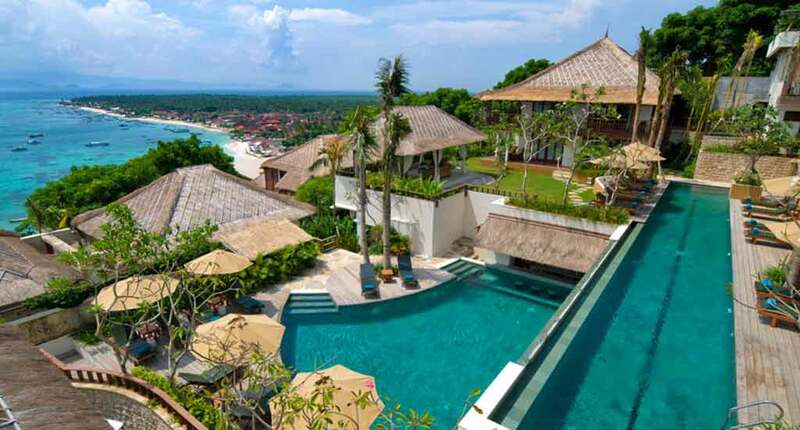 The Batu Karang Lembongan Resort is situated in the heart of Nusa Lembongan Island, just one minute away from the beach. 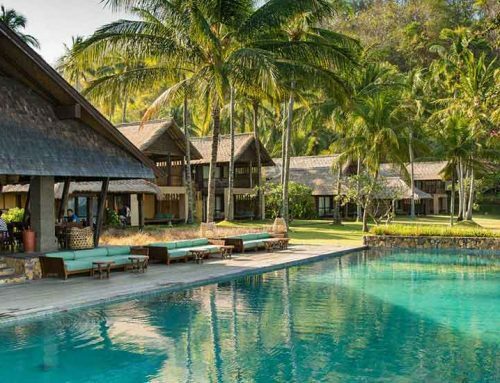 The resort is just a 30-minute boat ride from the east coast of Bali, providing an ideal escape in a tranquil and exotic paradise. 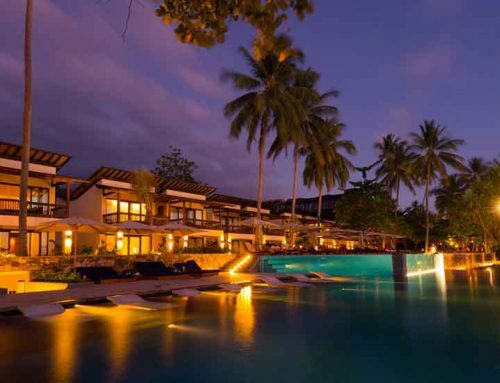 The hotel boasts 24 rooms, 3 outdoor pools, a full-service spa, a gym, a restaurant, 2 lounge bars and a swim-up bar. 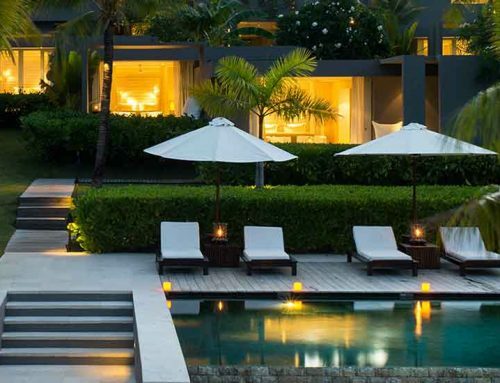 The suites and villas of the resort have been designed and decorated to honor the local traditional, combining Balinese architecture with modern features. The spacious rooms have custom crafted furnishings that are made from a combination of natural Lembongan stone and coral carved work, all created and designed by local artisans. The rooms come with LCD TVs with satellite channels, free Wi-Fi, balconies, air conditioning, ceiling fan, hair dryer, and daily housekeeping. The bathrooms have separate bathtubs and showers. The resort offers nice touches like bathrobes and free toiletries. Also, minibars, coffee/tea makers, and free bottled water are also complimentary. The outdoor bathrooms offer complete privacy and balconies that are fitted with day beds are perfect for those that want to lounge around and take in the breathtaking panoramic views undisturbed. A relaxing day at Lulur Day Spa can include traditional Balinese massage as well as relaxing seaweed beauty treatments. Manicure/pedicures, body scrubs, and facials are also available along with other therapies such as aromatherapy. 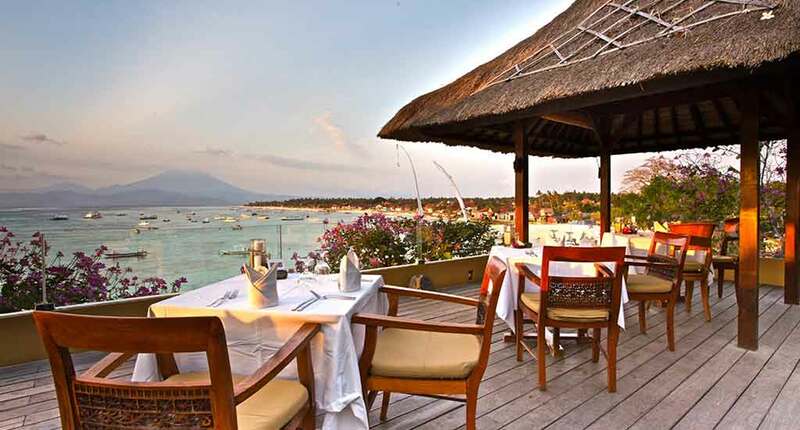 The restaurant, Muntigs Bar & Restaurant, serves a blend of international and Asian cuisine and offers for breakfast, lunch, and dinner, along with spectacular views of Mount Agung and the beautiful bay. The Howff is the resort’s own bar, that serves whisky, gin and wine, offering an authentic Scottish experience. The Deck Café and Bar is located along the boardwalk waterfront, guests being able to indulge by having gourmet baguettes, freshly baked pies, paninis, pizzas, home baked cakes, gelato ice cream, fresh juices, smoothies, coffee. A mini movie theatre is also available on premises, allowing you to watch a movie in luxury. The resort also features the fitness center, steam room, pool loungers. There’s also free self-parking, along with the convenience of an airport shuttle. 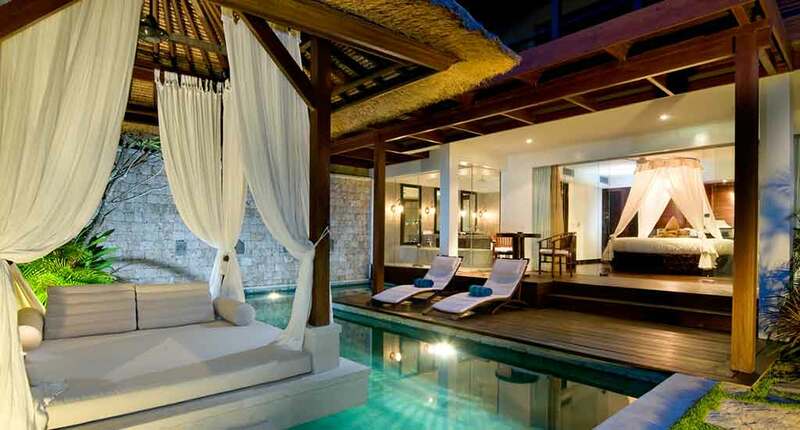 Batu Karang Lembongan Resort can arrange many recreational activities if their guests request so. Activities such as snorkeling trips, diving, stand-up paddle boarding, and many others can be organized during your stay. The hotel’s convenient location provides avid surfers various world-class surf spots. Scuba diving and other watersports are quite popular in the waters around the island. If you happen to be travelling with children, there are also many nearby playgrounds. The island of Lembongan is known for its natural attractions: here you’ll find seaweed farms, white beaches, and a dense Mangrove Forest that is just ready to be explored. 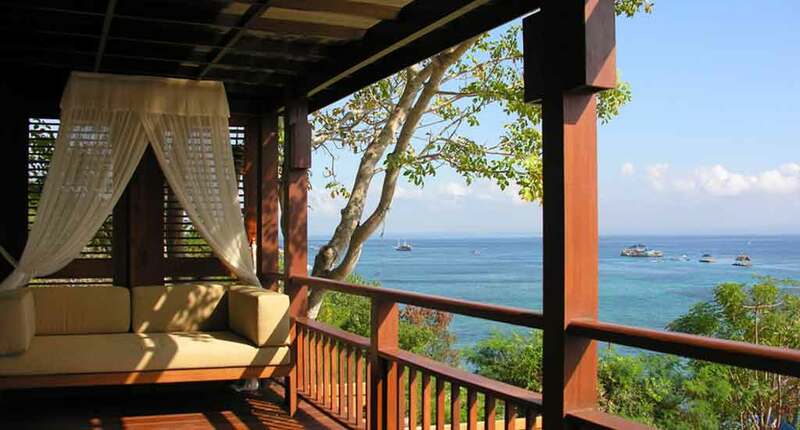 Get an amazing view of the island and its surroundings from the hilltop Pura Puncak Sari, the island’s largest temple. 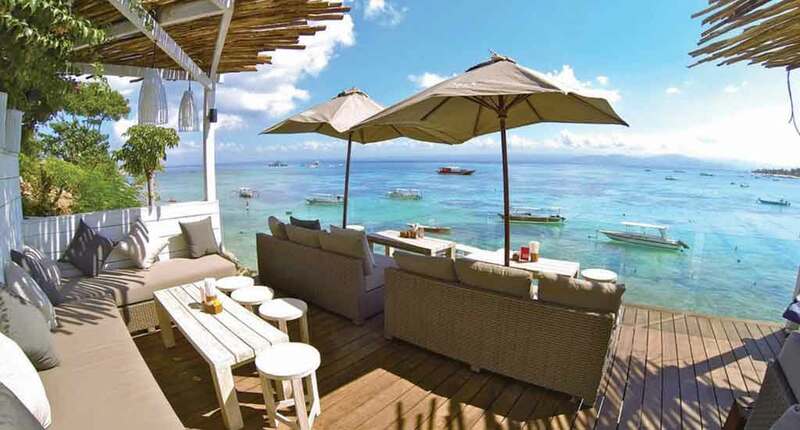 The island also has various places where you can eat, from bargain cafes to chic hillside bars to expensive Indonesian restaurants. 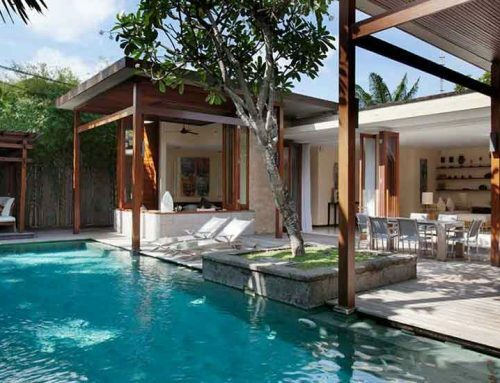 Being so close by, guests should not miss the opportunity to visit Bali, which has some of the best diving spots, waters teeming with vibrant sea life, amazing tropical forests and a large number of ancient Hindu and Buddhist temples. 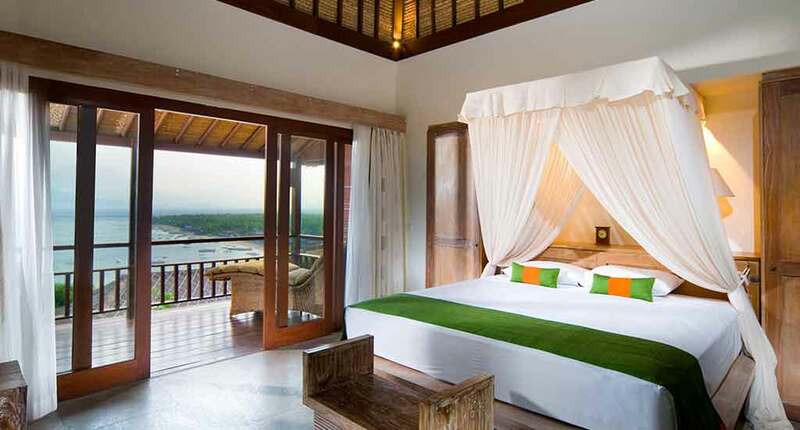 The Batu Karang Lembongan Resort is perfect for couples that are looking for a romantic getaway in an exotic paradise, that either want to be pampered or enjoy island activities together. 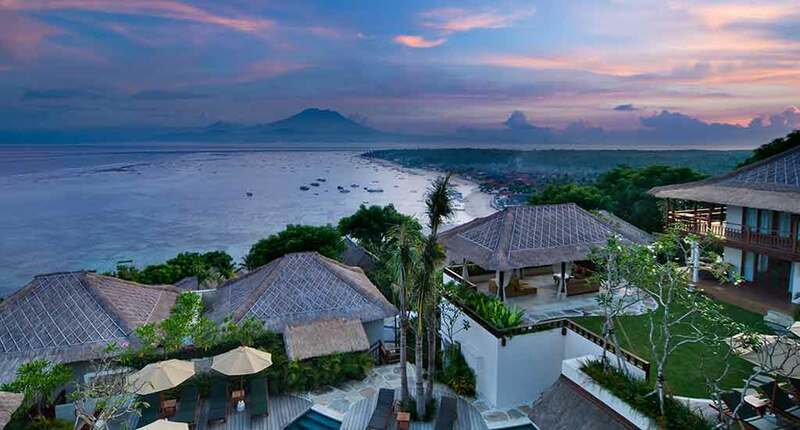 Address: Jungutbatu, Nusapenida, Jungutbatu, Nusapenida, Kabupaten Klungkung, Bali 80771, Indonesia.